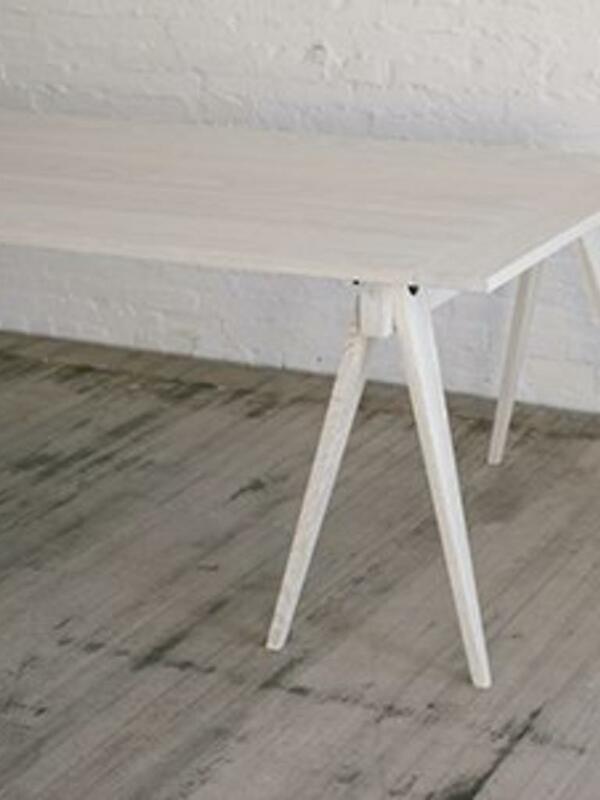 Sawhorse dining table in white finish. 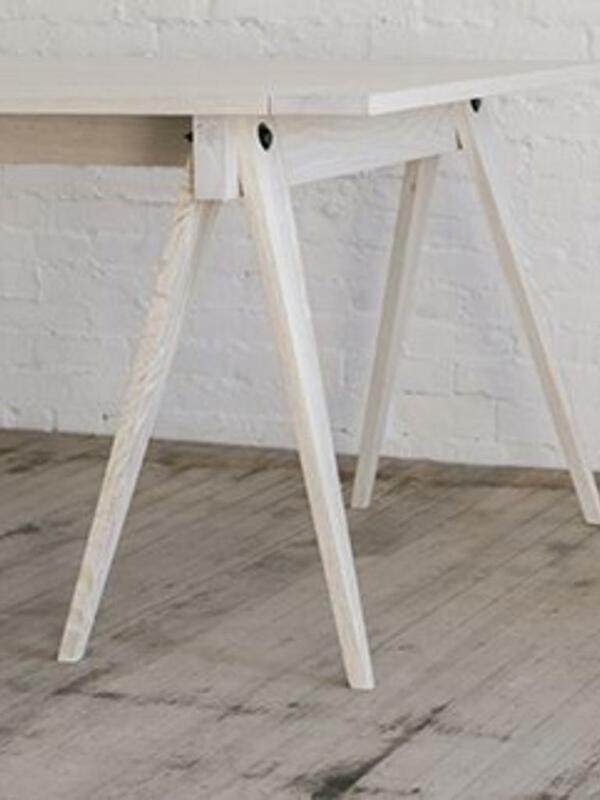 Made in the USA from 100% domestically sourced, sustainable hard wood and traditional 100% non-toxic finish. 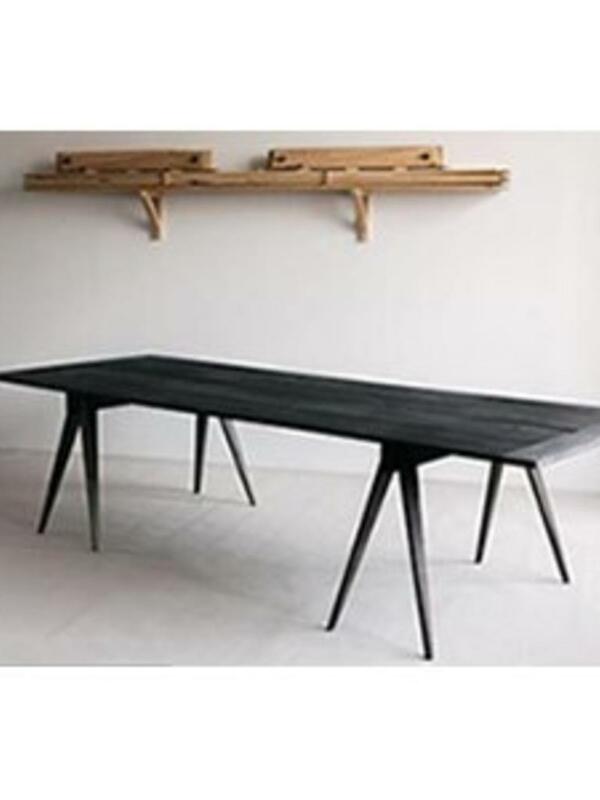 96" x 36" 29" and 120" x 36" x 28"
Blackcreek Mercantile has been designing and making solid wood furniture for over 20 years. 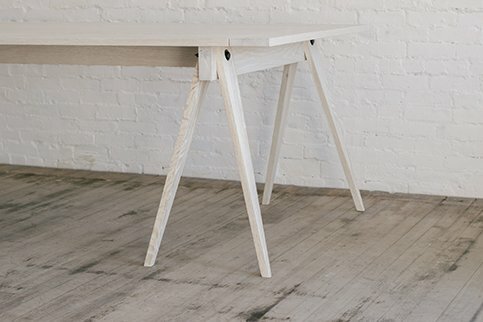 All of their pieces are constructed from 100% domestically sourced, sustainable hard woods. 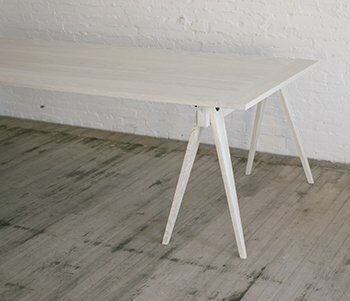 All finishes are also traditional, time tested techniques that are 100% non-toxic, extremely durable and food safe. 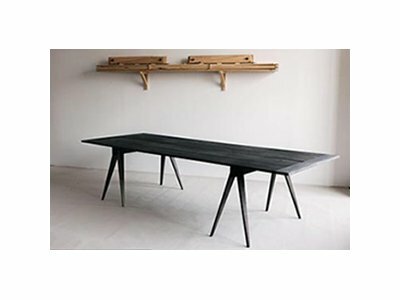 120" x 36" x 28"
Contact us for details on how to purchase this table in a black finish or custom sizes.